You'll find a whole lot of tutorials in the blogosphere for making flowers and bows from fabric, felt, ribbon & even crochet to add to headbands. 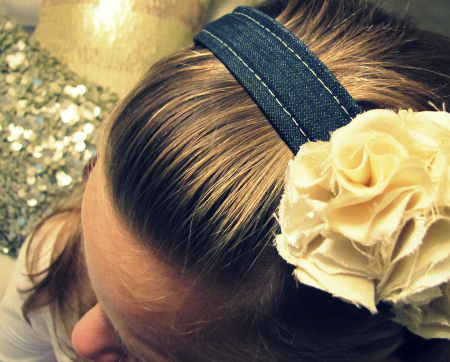 But what are the best ways to cover the actual headband before adding your embellishments? This is what today's post is all about. There are few different types of bands available. Plastic, elastic & metal. The Haby Goddess online store stocks 3 different sizes (12mm, 17mm & 20mm) in the plastic variety so that's what I'm using. 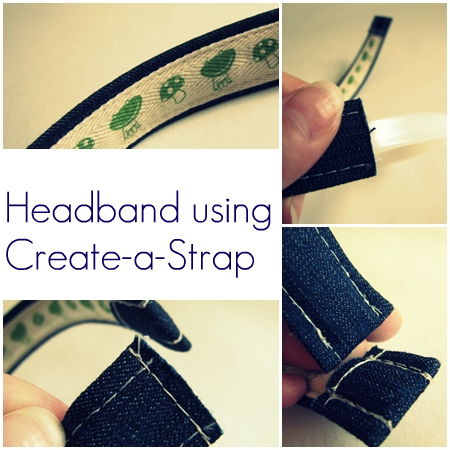 A product which you may have guessed I'm loving at the moment is Create-a-Strap which I have also used here & here. By following the tutorial I've linked to above, the 12mm headband slides in and fits perfectly, giving a solid, professional finish as modelled in the top image by Miss 8 ~ who was not impressed about helping her mother with some shots at 7.30am this morning! To finish off the ends: Sew across the bottom, pull tight & fold upward. Use your zipper attachment to sew over the existing stitching. 2. 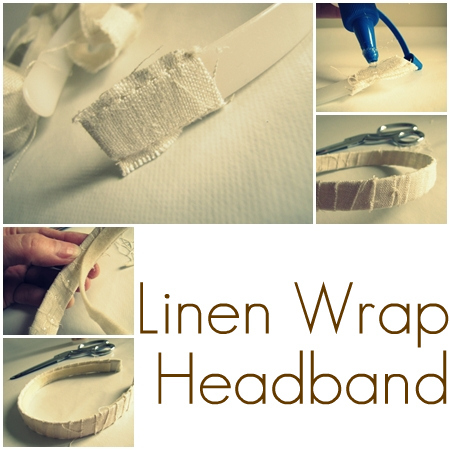 Glue the underneath of headband. Doesn't matter if it goes through as it will get covered by the felt. 3. Adding a felt strip to the underneath will stop it from unravelling and keep the fabric in place. 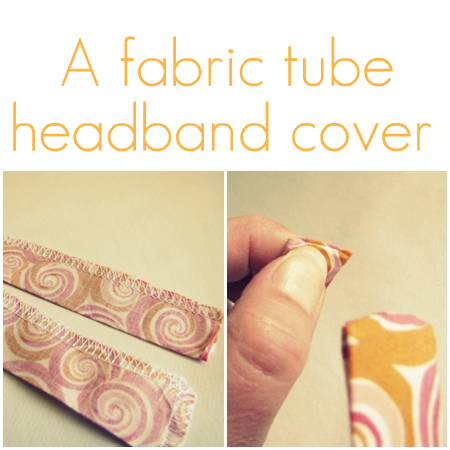 The last method is sewing a fabric tube. Turn it inside out (a little tiresome), pull the fabric tight, cut off excess, fold ends inside so they are not visible and then hand sew. Oh goody! My headbands are on their way to me so now I'll be ready! Thank you!